With the changing of technology, almost everything is getting upgraded. By the use of Smart technology, we are able to find all solutions for our problems. We all own a Smartphone in today’s era, so why not take full advantage of it and cover the investment cost that you have incurred on buying it by using it to the fullest. Apart from flaunting an expensive Smartphone and just using it for calling purpose, there are other useful things that a Smartphone can provide you. The most useful thing in a Smartphone is note-taking apps which are really helpful whenever you have to jot down something urgently and you do not have paper and pen available at that point of time. These note-taking apps are available for free for both Android and Apple devices and Smartphones and are quite accessible as well. You can easily prepare and write down your daily notes whenever required because nowadays a person can do without a pen and paper but not without a Smartphone. These apps are quite convenient and have quite smart features like reminders which follow you everywhere you go. These free note-taking apps also keep your notes in an organized manner and most of them are quite multitasking as well as you can sync your notes with other apps on your Smartphones. You even have an option to share and receive somebody else notes as well. 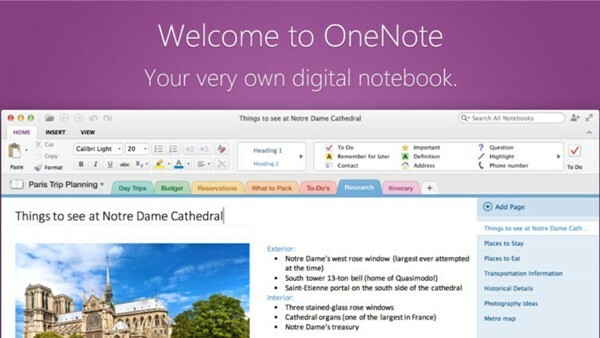 So, all in all, these note-taking apps are extremely helpful and easy to access. So, here is a list of the top 10 free note- taking apps which are available for your Smartphones. Do check them out. 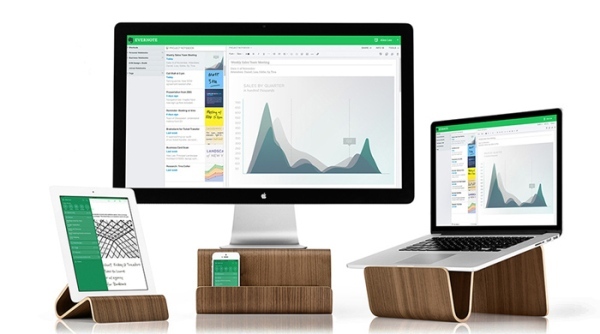 Evernote is beautiful note-taking apps available for almost all apple devices whether it’s your Ipad, Mac Book or iPhone. This was the first ever note-making app created by the Apple people and that also totally free of cost. It is now also available for Android and Windows Smartphones as well. Through this app, you are able to sync your notes with various other apps on your Smartphone and with other devices as well. The notes saved in this app can be of any form like pictures and videos and you can even share them through Facebook or Email with your friends. 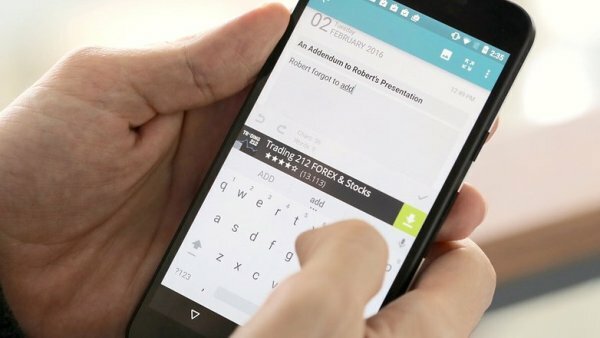 This is another amazing note-taking apps for making notes in your Smartphone. The app is available for both Android and iOS devices and is totally free of cost. You can sign up through Facebook or your Gmail id and easily create notes whenever required and in any form like voice notes, photo, videos and Text. The app also has the feature of setting up a reminder for your important tasks which you don’t want to forget. You can even set a password for your private and important notes. Share your notes with your friends and family through this app. This app available for Android and iOS devices is free of cost and has a very exciting feature of hashtags which are currently used by the young squad on their social networking sites. In this app, you can save the notes by adding hashtags to them and you can search your required note by just entering the hashtag of the note. It has another amazing feature of sharing your notes on any other mobile whether it is a Smartphone or not via text messages. 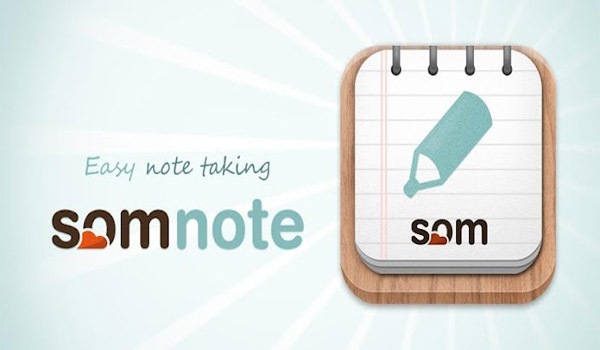 Somnote is one of the best note-taking apps which are quite user-friendly as well. It is available for both Android and iOS devices and you can attach any kind of file whether photo, video or text and save them in beautiful colorful folders. This app also provides a 100MB free cloud storage which is quite amazing. Apart from that you can sync your notes with other devices and can even improve your privacy by adding a passcode to secure your private notes. Spring Pad is quite a great app for saving your daily notes. After downloading the app, you can sign up through Twitter, Yahoo, Facebook, and Google. This app helps you organize your notes properly and you can even customize your notes by adding different colors and themes to them. This app is available for both Android and iOS devices. Any.DO is another very nice note- taking app specially designed for your convenience. This app has a unique feature of setting up of reminders and the to-do task will automatically display on your Smartphone home screen. It even has a speak feature in which you can record your note instead of typing it. The app also organizes your notes according to the dates on which they were created and you can even delete the notes when their requirement is fulfilled. It is available for Android and iOS devices. This app was mainly created for the users of Microsoft or Windows Smartphone. It comprises of all the features that a Windows device should have like the Excel sheets, PowerPoint, graphs and much more. This means it is an all in one app and you can even edit your notes by directly opening the Office Web Apps from the app itself which is really convenient. You can sync your notes in the Skydrive account but the limit of notes is up to 500 only. You can download the app for Android and iOS for free. 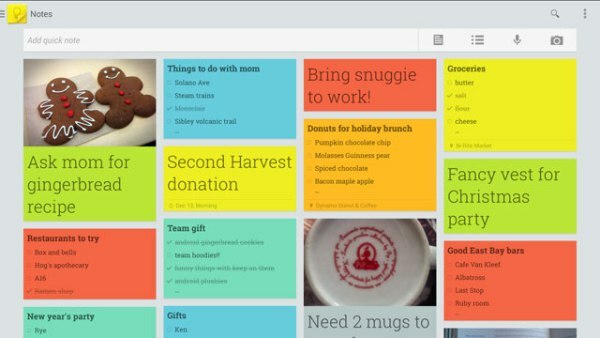 Google Keep app is created by Google and is an extremely note-taking app available for free for Android Smartphones in the form of a widget only. The app is quite easy to access and you just need to give a title to your particular note in order to create it. Then you can add other graphics and media to your notes and can even make it colorful as well. It also has a voice note feature where you can record your notes instead of typing it. 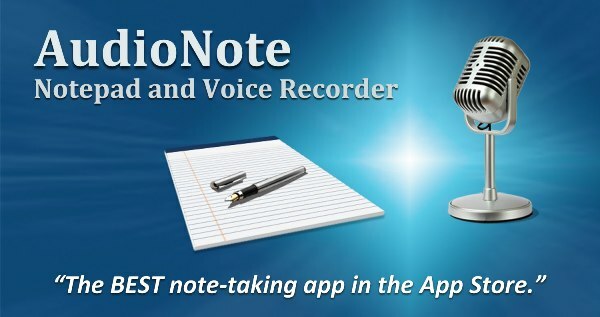 As the name suggest, these note-taking apps sync with your Smartphone’s voice recorder and the note you have typed and actually read out in the form of an audio when you click on it which is extremely unique. You just have to press the play button and your text note automatically gets converted into an audio note. You can even sync your notes with Dropbox and iCloud and can even add any kind of media to your texts. You can download it from Google Play Store or the App Store. It is an app basically created for saving and jotting down heavy or lengthy notes. For this, you can create folders, make them colorful, add various themes to them and can even use your favorite font size as there are around 48 different types of font size available in the app. You can add any kind of media like pictures and videos to your notes and also has the reminder feature in it. You can sync and make your backup through your Google account. This app is only available for IOS devices and not for Android Smartphones but it is pre-installed on the Samsung Galaxy Note. So, these are the top 10 free note-taking apps for your Smartphones which will actually make your work easy.